When searching for the perfect home, location is a big one. Do you want to live near the city? Do you want to live in a community with access to schools for your children? Or would you prefer to live in a home that is in a warmer part of the country? 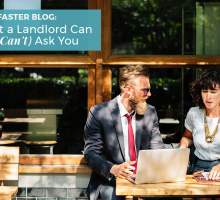 All of these questions are important to consider, but the question becomes, how do you find these desired rentals? 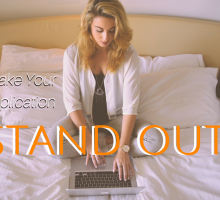 Not all rentals will have “beautiful home near public schools” within their rental description, so you need to find a way to search through homes that match your needs. With Rentfaster’s map feature, now searching for the ideal rental is easy! This wonderfully inclusive feature allows you to search rentals all over Canada that line up with what you want! 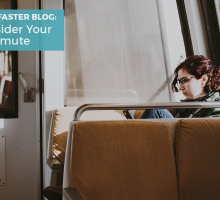 Get the most out of your rental search and take advantage of the Rentfaster tools! 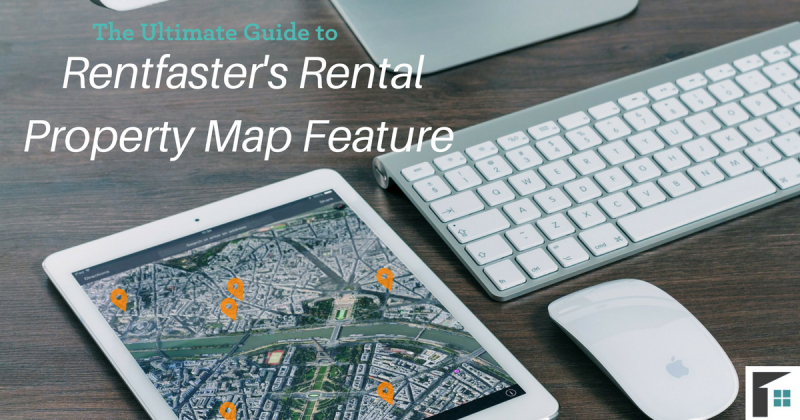 Here is the ultimate guide to Rentfaster’s Rental Property Map Feature! Once you have selected everything you want in your dream home, then a search will populate that is an identical match to what you desire! Knowing more about a city can help you make the final decision of where you would like to rent. 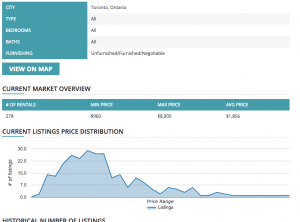 The ‘City Info’ tool can help you understand more about the rental market in the city of your choosing. Simply click the ‘City Info’ button located on the right-hand side of the map and it will navigate you to the city’s overall information. Here you will be able to view a brief summary of the current rental market statistics for each type of home (as well as for the number of bedrooms in the home), guidance on how to find the best rentals in the city, features, and identify surrounding towns and cities that also have rentals available! If you have a particular area in mind and are wondering what is available in that location, why not select the exact area you want! 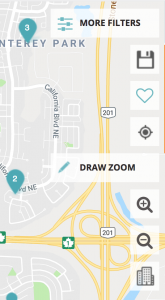 The ‘Draw Zoom’ tool allows you to isolate a specific location that you are interested in, down to the street. With this, you can search your desired ‘section’ of the city without the restrictions of entire neighbourhoods, if you’d rather be on the left side of the tracks. 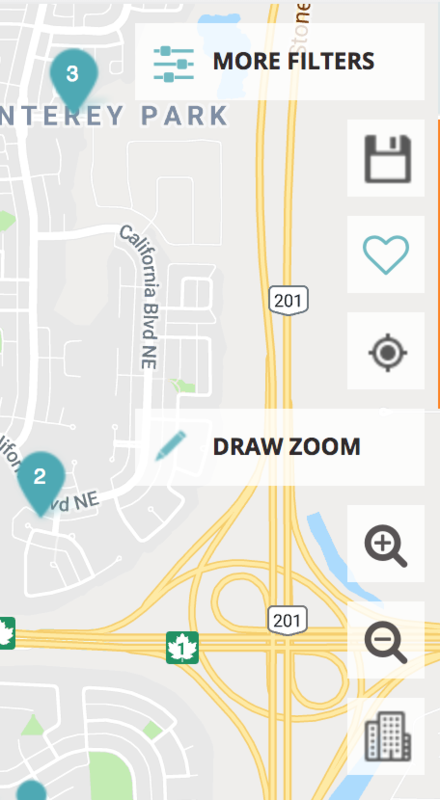 Simply click the pencil button on the right-hand side of the map and then click ‘Draw Zoom’ (ensure that the pen is highlighted blue). You can then use the pen to outline the area you want to zoom in on the map! If you want to include a larger radius, zoom out on the map feature and then circle a larger area. Once you have created your free account on Rentfaster.ca, you will have access to more information on the rentals in your desired location. Log in to your new account and under the ‘My Account’ tab you will find ‘Pricing Tool.’ This feature will help you search by area, neighbourhood (only available for certain cities), and specific search parameters to get more information on a location. To use the pricing tool, enter in the required information and it will auto-populate information and statistics about rentals in that area. It will tell you the current market overview (number of rentals available, average price, etc. 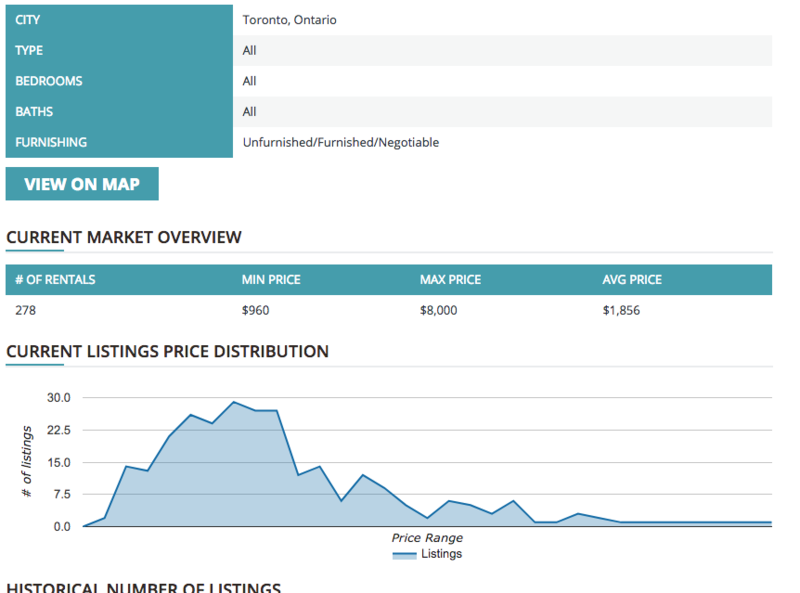 ), historical number of listings, historical average price, and the historical days on the market. You can use this information to find the perfect time to rent, as well as determine where current listings are located! Once you have completed your search, simply click the button ‘View on Map’ and it will direct you to a view of the area you are searching for. Now that you know how to take advantage of the Rentfaster map feature, use it to find the perfect rental property! Search through specific features of homes, types of listings, set specific areas on the map, or evaluate the statistics for Canadian cities. Whatever you are looking for, you can find it on Rentfaster.ca!